It’s been said that a new mother soon forgets the pain of childbirth, and that’s why firstborns eventually get siblings. Welcoming a newborn into the family is a complex–joyous and angst-ridden and a swirl of other emotions–occasion. Careful planning of those first few weeks and months at home can make the transition easier for the entire family, but especially for new moms. The vast majority of the time, the well baby visit reveals the child is just fine, it’s mom who needs support. So, she kicks off her shoes, they park on the couch and work through any issues. Having a hard time sleeping? Exhausted all the time? Trouble breastfeeding? Partner not providing enough hand-on support? Older kids acting out? Sad and/or anxious? Dr. West is right there to help formulate plans and solutions and offer support, wisdom and reassurance. 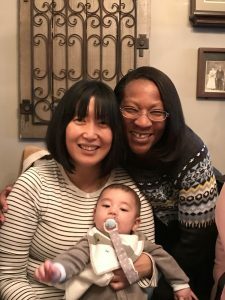 As a board certified pediatrician, Dr. West and RVA Baby get referrals from other doctors, as well as midwives and doulas. So far, word of mouth has done the most to launch the seven month-old business. 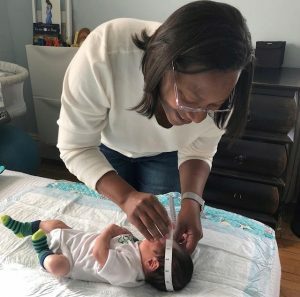 The fact that it is strictly cash-based has not deterred new mothers who know that highly personalized post-partum care is priceless in the first few weeks after giving birth. Health savings and flexible spending accounts can cover the entire cost and thoughtful grandparents and family friends are giving the service as a gift. 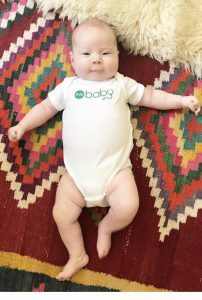 Sarah suggested developing a subscription service to standardize RVA Baby’s income stream and adding support for babies up to one year old as well as expanding her blog to include online webinars and other information. 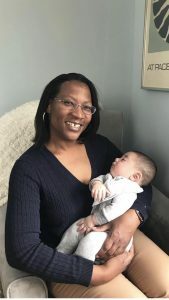 So far, the infant business is thriving; Dr. West has the capacity to care for up to 25 newborn babies and their moms. But what happens as the business continues to grow?